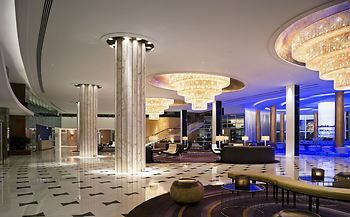 Hotel Fontainebleau Miami Beach, Miami Beach, United States of America - Lowest Rate Guaranteed! How kind & welcoming the staff were. One day my son was allowed to use the gym and the next day a different staff member wouldn't allow him to use the gym. I asked up at the front desk when we first checked in if my 13 year old son would be allowed to and they gentleman said yes. I didn't make a big deal about it. Just was uncool and annoying. Room was very nice and contemporary. Staff was very accommodating. Well I thought I had booked 2 nights but only 1 night booked. So it was kind of a let down having to pay more for a not a nice room. We had a very good time at the lobby bar o. Friday and Saturday night. Pool side has a one hour max limet when leaving chair, but no one working is actually timing. I believe when a guest leaves the area they should be required to notify staph so time can be documented so the chairs can be used by all guest not just taken by first come and lift imply all day. We were treated very well by the staff of the hotel. They upgraded us to a suite at no additional charge because it was our first time visiting. Everyone smiled and greeted us at every turn. The place was immaculate. We did'nt have to the leave the premises. We had an awesome time and would and will return. It's a bit pricy but you get what you pay for! Not really a complaint just saying. NOT CLEAR TO ME WHAT IS REQUESTED IN THIS FIELD. The cleanliness and as well the fact of being a relatively new property as i used to stay in the old one now closed. I DID NOT LIKE THE FACT THAT I HAVE BOOK FOR MY FAMILY A SUITE FOR 5 PERSONS AND THE SUITE HAD ONE BED ROOM AND ONE QUEEN SOFA BED !! ONE OF MY CHILDREN HAD TO SLEEP IN THE FLOOR !! THERE WASN´T EVEN THE BLANKETS AND TOWELS FOR 5 PEOPLE. The hotel is beautyfully placed.